The Feelle Solar Charger HI-SO25 by FeelleTech comes with a 25000 man batter backup which uses solar power to recharge the battery pack. The HI-SO25 solar power bank is an ideal outdoor power bank for charging phones and electronic devices on the run. 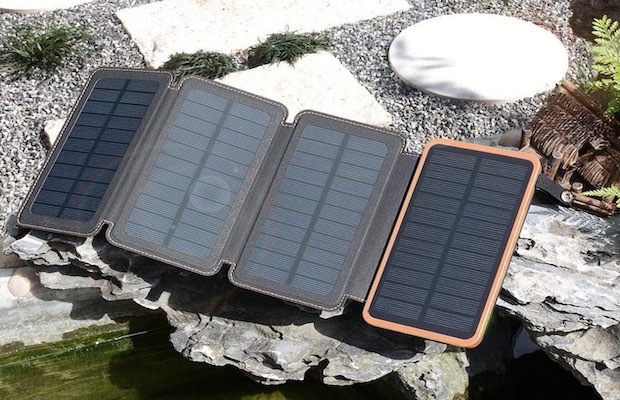 High Capacity: The FEELLE Solar phone charger built-in 25000 mAh High-quality Li-Polymer battery, can charge most phone 12+ times. Larger Solar Panels: The larger solar panels have been so designed to absorb more sunlight through the 4 foldable solar panels, that can be charged 4-5 times faster than other normal chargers. The charge cycle is 25-30 hours for the charger to be fully charged using solar energy. Portability: The chargers foldable design and portable size enable the user to carry it anywhere easily. Highest Speed Output: Equipped with dual smart identify USB outputs (5V 2.1A / 5V 1A), it can charge 2 digital devices at the highest speed simultaneously. Perfect for Traveling, Camping and more outdoor activities. 5 Security Systems: This backup charger provides IC protection for over-charging, over-discharging, over-voltage, over-current and short-circuit. USB ports are protected by silicone cover, makes it rainproof, shockproof and dust-proof. Safe guarantee for your devices. The company also offers solar power banks with 24000 mAh capacity, the Feelle HI-SO24. 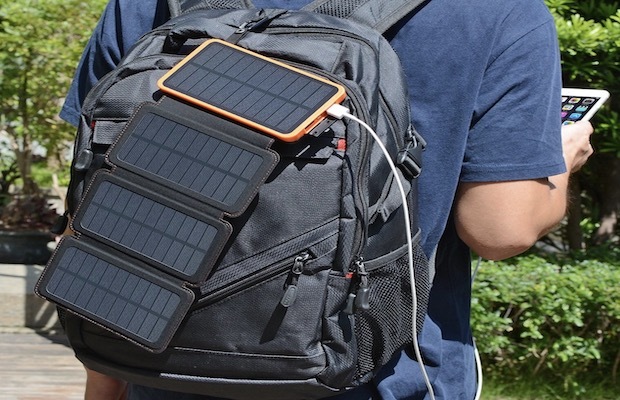 The SO24 portable solar charger comes with 3 highly efficient solar panels, which could recharge itself expeditiously, which is 3 – 5 times faster than the other solar chargers. And it has a waterproof USB output with dual charging ports which offer 2.1A high-speed charging, capable of charging 2 devices simultaneously. The solar charger has a bright flashlight with 3 modes (Steady-SOS-Strobe), Awesome for outside activities such as camping, hiking, traveling and other emergency use.